Event Mode: Ghillie Crossing is Back! Ghillie Crossing has returned! Stealth is key here as you take to the Erangel countryside with crossbows and ghillie suits. 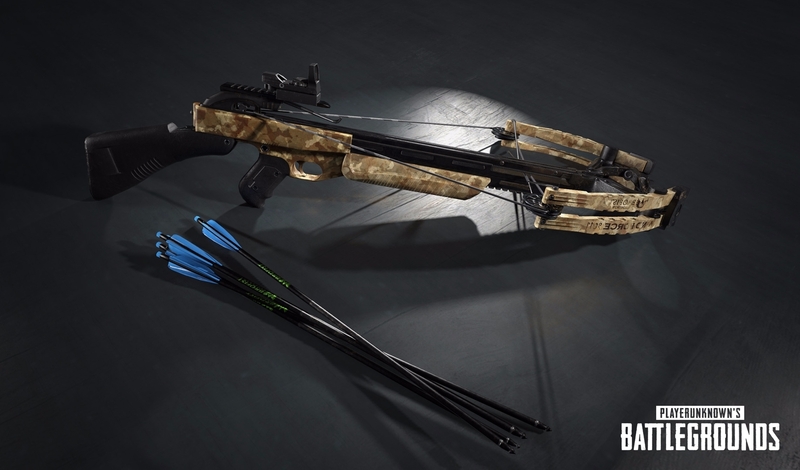 Normal weapons do not spawn in this event, and instead you will only be able to rely on Crossbows, Throwables (minus grenades), and melee weapons. Ghillie suits spawn alongside normal loot and there are no vehicles or care packages. Battle it out against other squads in the ultimate stealth war game, where every bush or field of grass can mean a silent and unexpected death! World spawn weapons include only crossbows, melee weapons, and throwable weapons with the exception of grenades. Ghillie Suits spawn alongside other world loot. Blue zone damage increases exponentially as the endgame approaches. Because there are no vehicles, the first safe zone always forms around the center of the map, then shrinks randomly as normal.